The proper sunglasses can be a phenomenal accessory, something to hide behind when you’ve been out all night and the very best protection from eye diseases like Macular Degeneration and Cataracts. 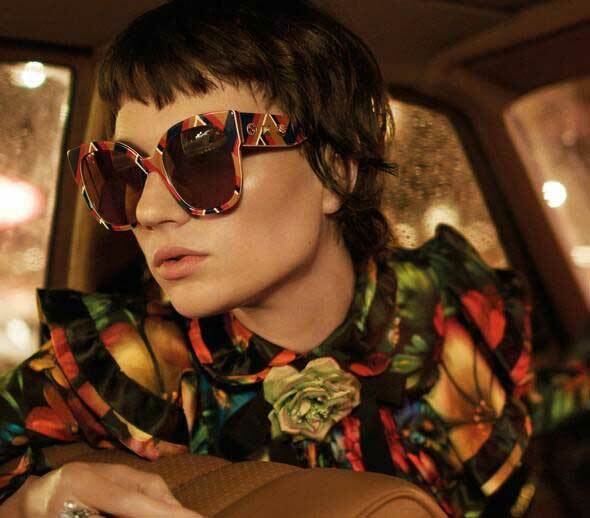 At Stamper Optometry you can find the latest and greatest fashion and sports sunwear from hot designers like Dita, Gucci, Tom Ford, Oliver Peoples and more. For the right look at the Beach, the track or on the Bay, Oakley, Persol and Ray Ban have the styles to fit your life. At our San Francisco Mission district eyewear store you can customize your sunglasses with a variety of our colored lenses according to your personal style and taste. Take your choice of sunglass style with or without prescription to fit you perfectly. Don’t forget, if you have contact lenses then you should have sunglasses. Contact lenses cause many people discomfort in bright light because they can cause light to focus more brightly on your retina. Whether you need prescription sunglasses or not, Stamper Optometry has the selection you want at prices that can’t be beat. Call or just stop by today.